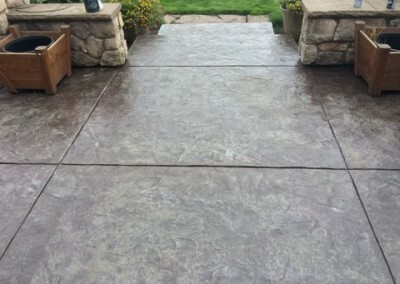 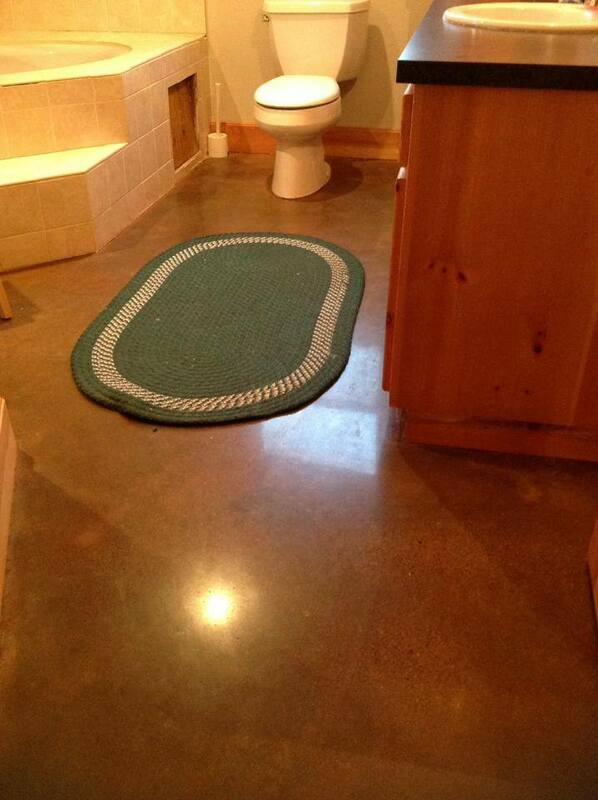 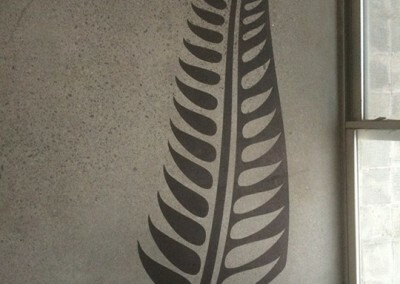 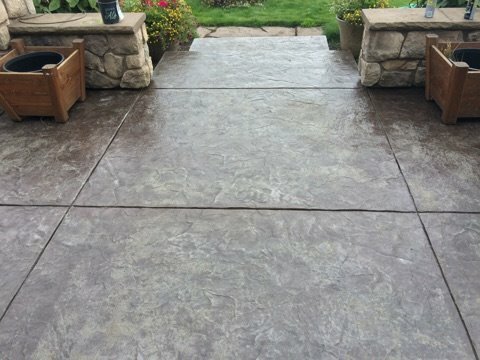 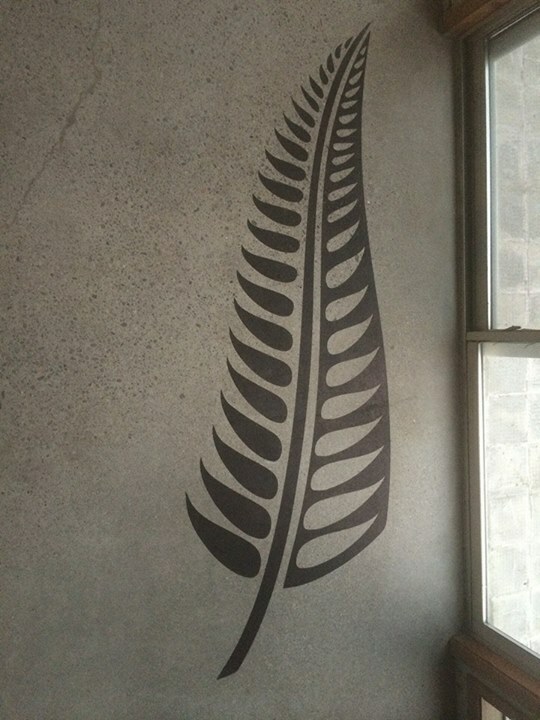 Turn ordinary and unusable concrete into extraordinary and functional, eye catching surfaces that last. 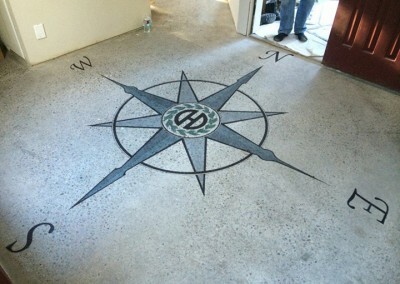 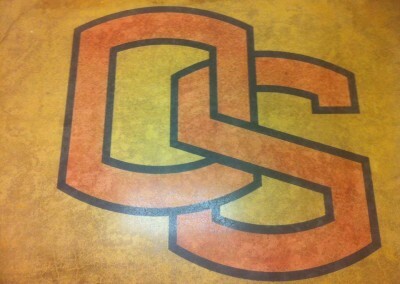 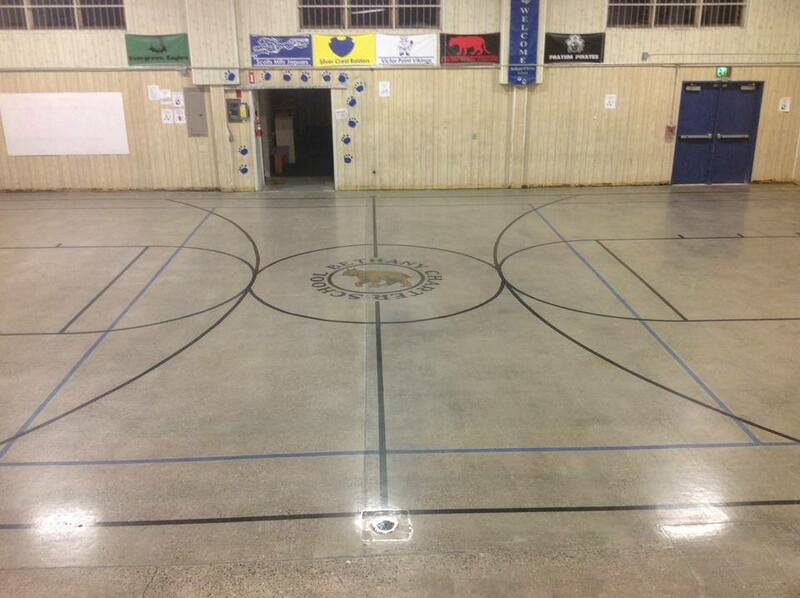 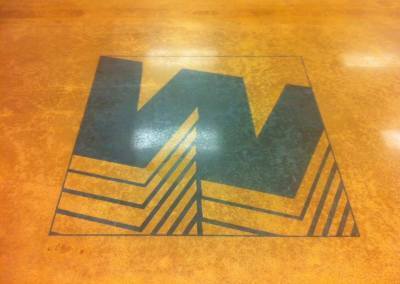 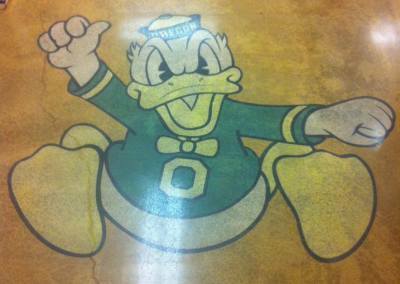 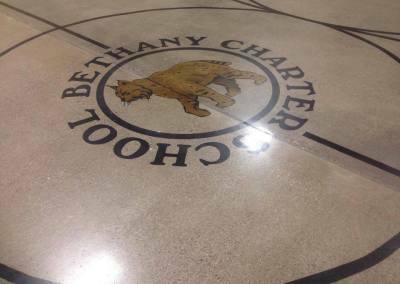 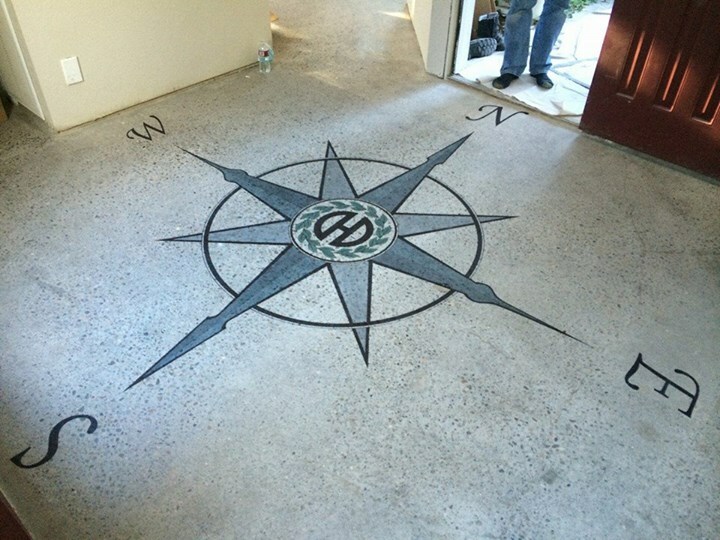 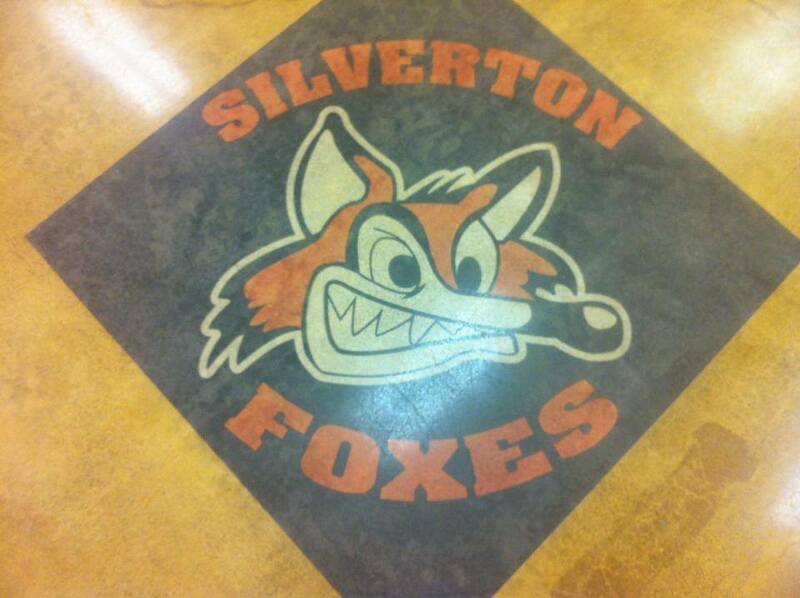 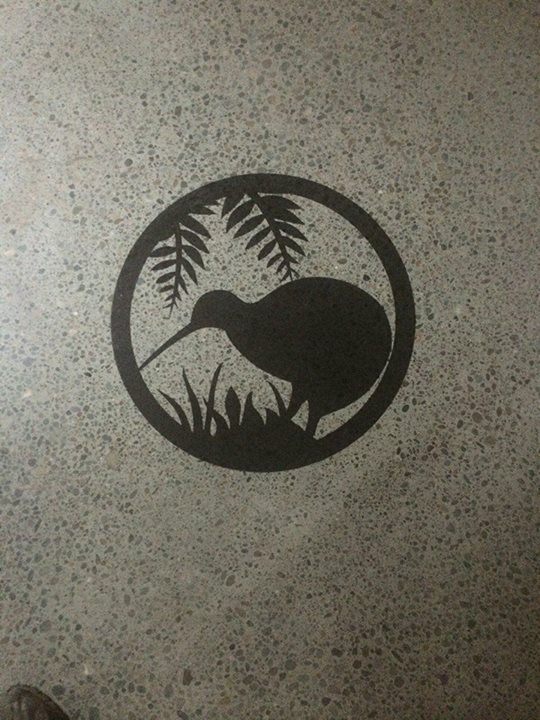 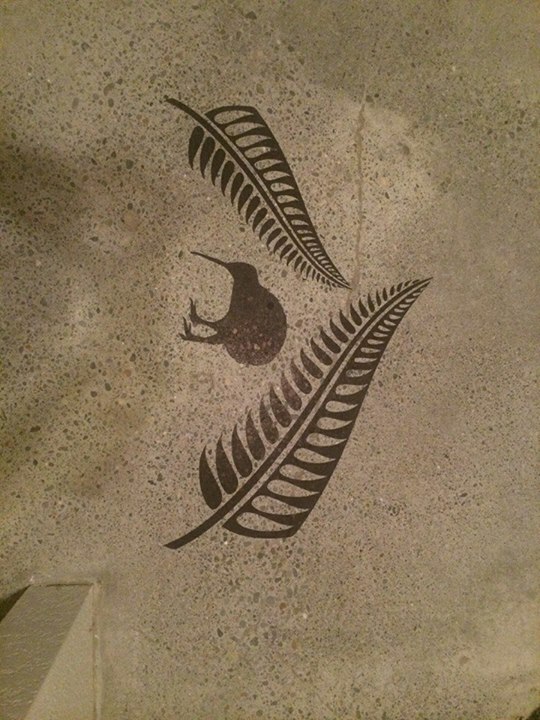 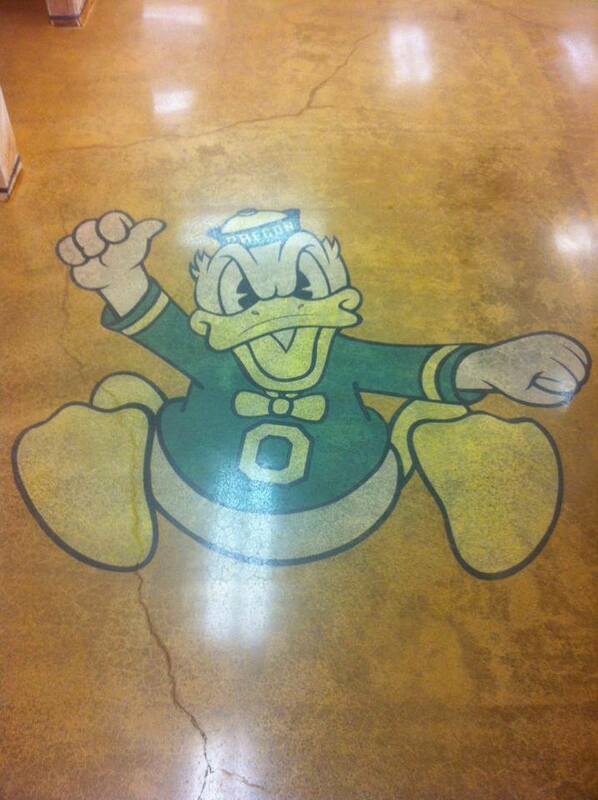 Embed your favorite logo, guides or any other design you’d like into your floor! 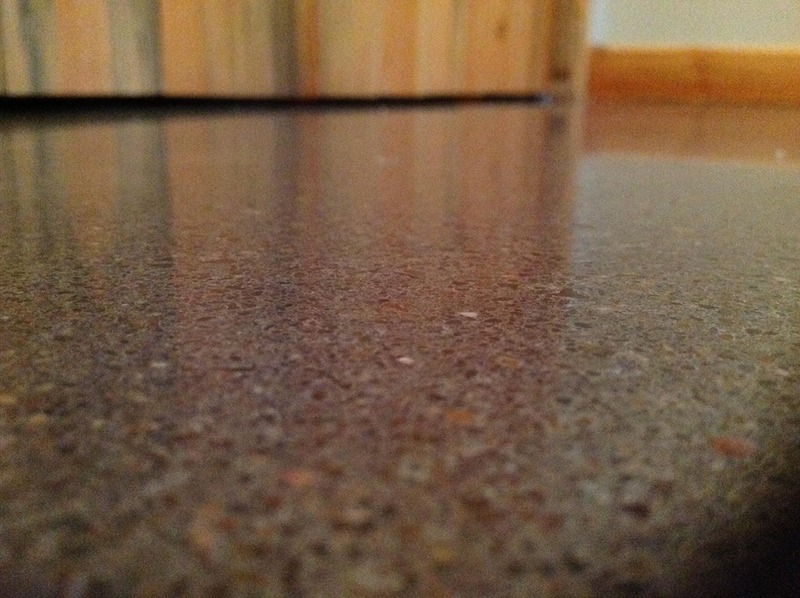 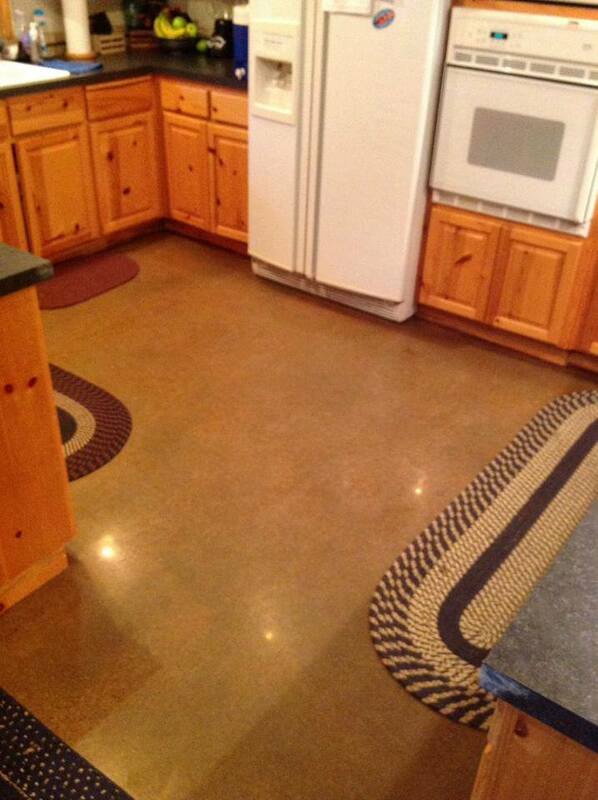 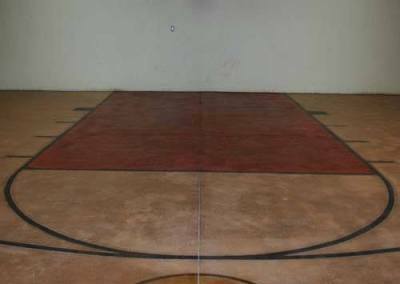 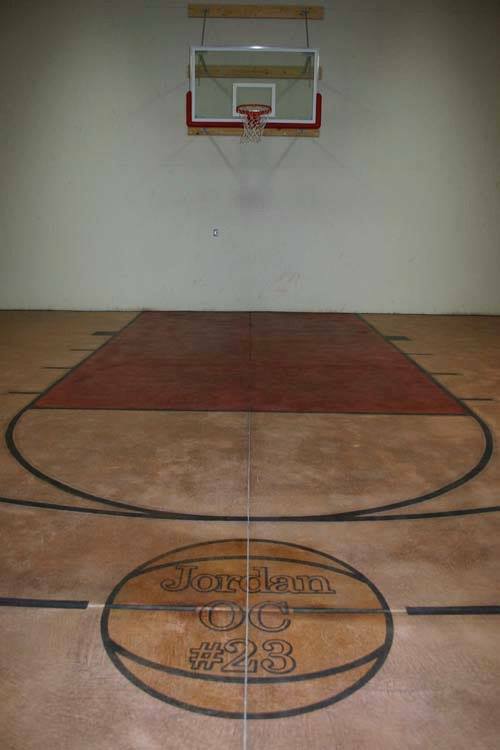 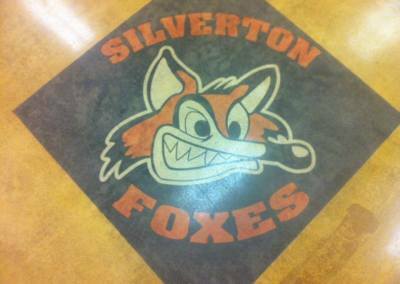 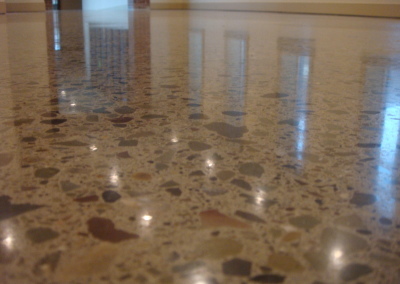 We have a large variety of faux finishes you can have applied to your polished, concrete floor. 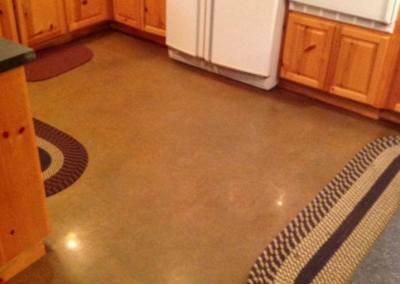 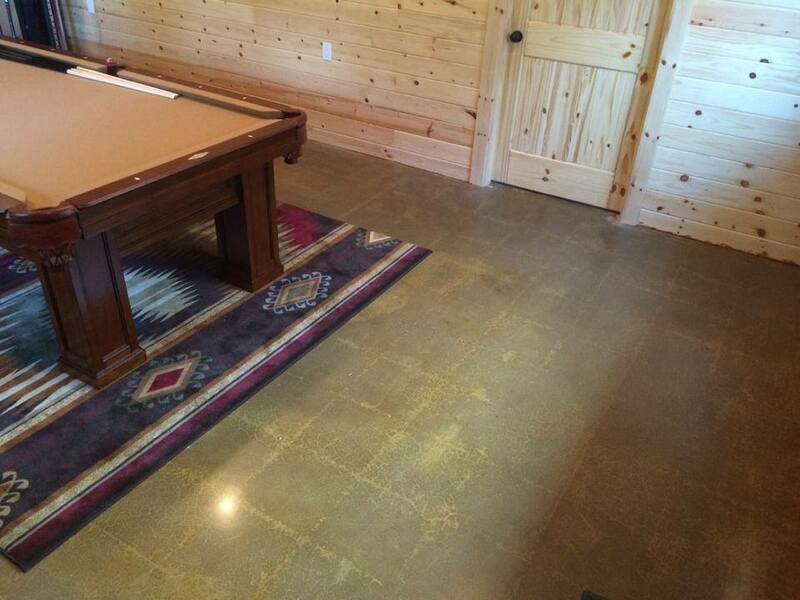 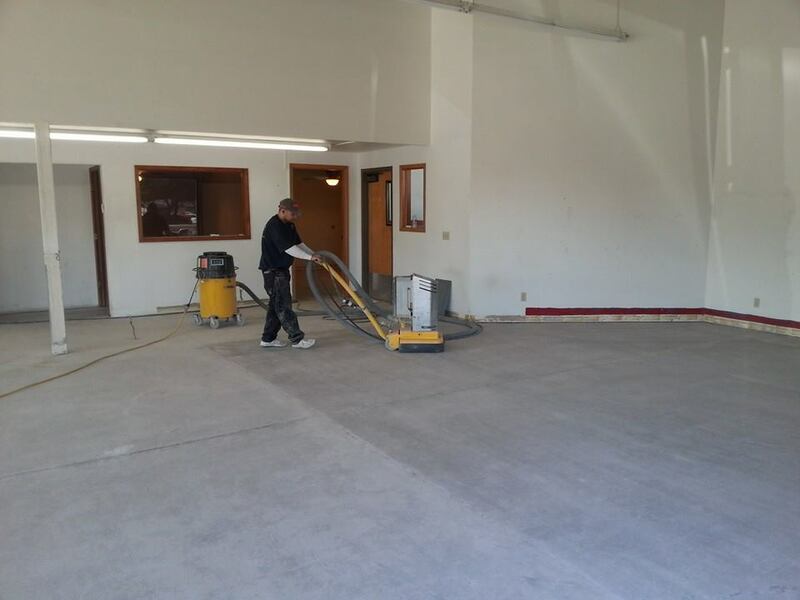 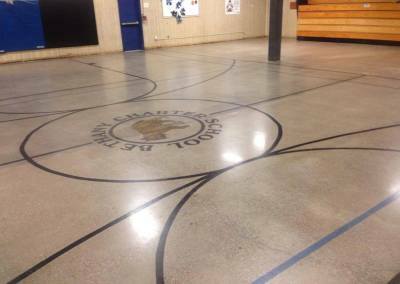 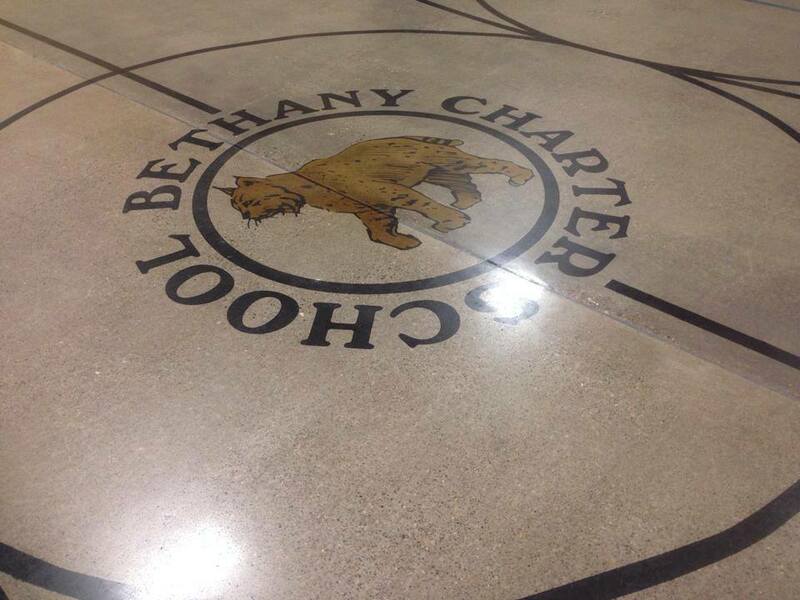 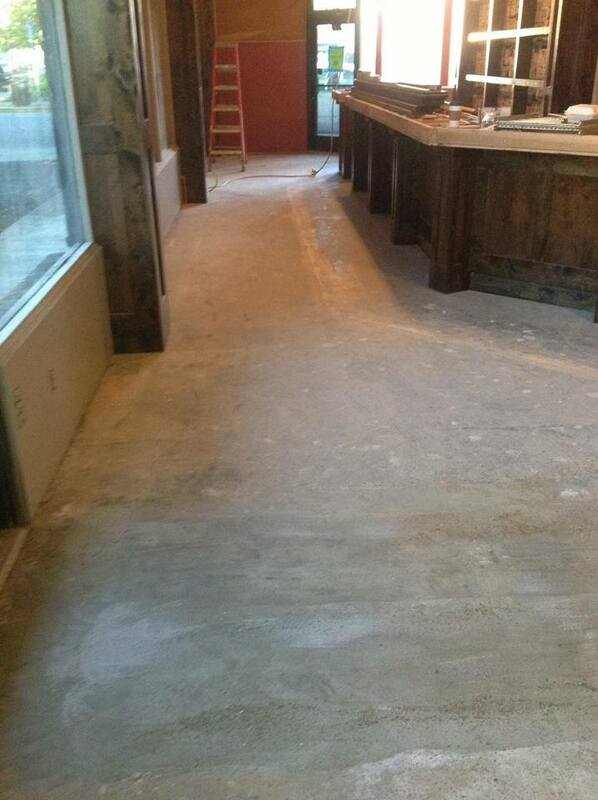 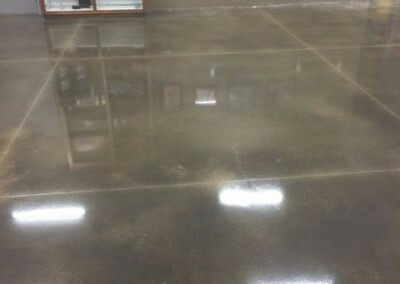 We can perform all duties professionally from start to finish, including pouring your floor. 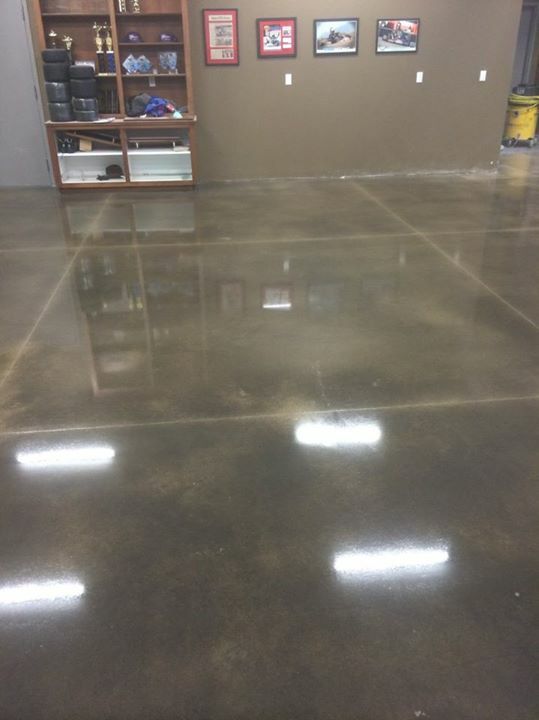 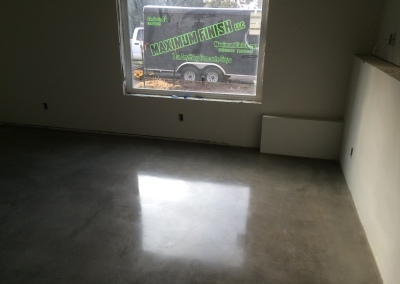 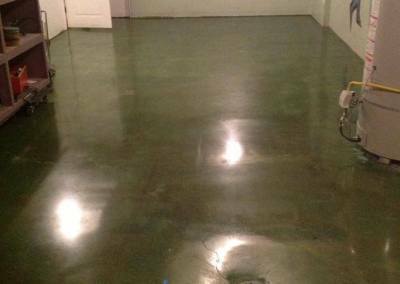 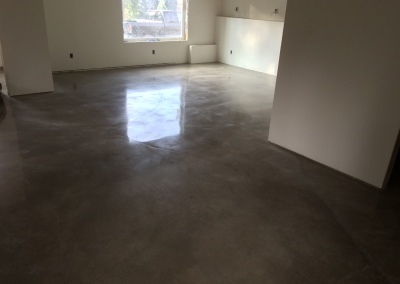 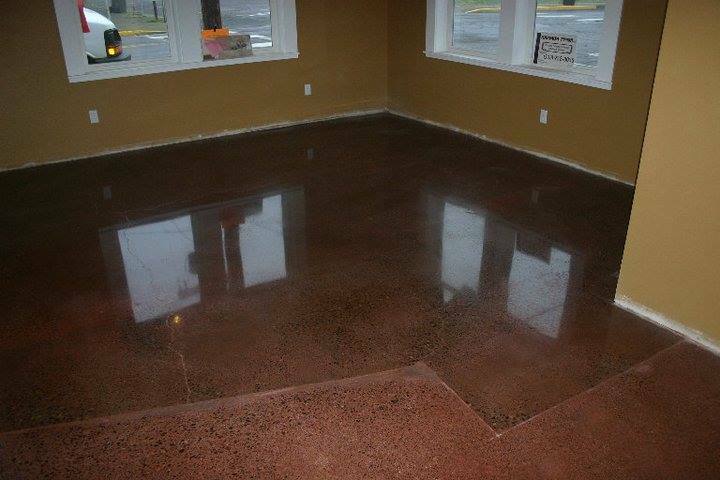 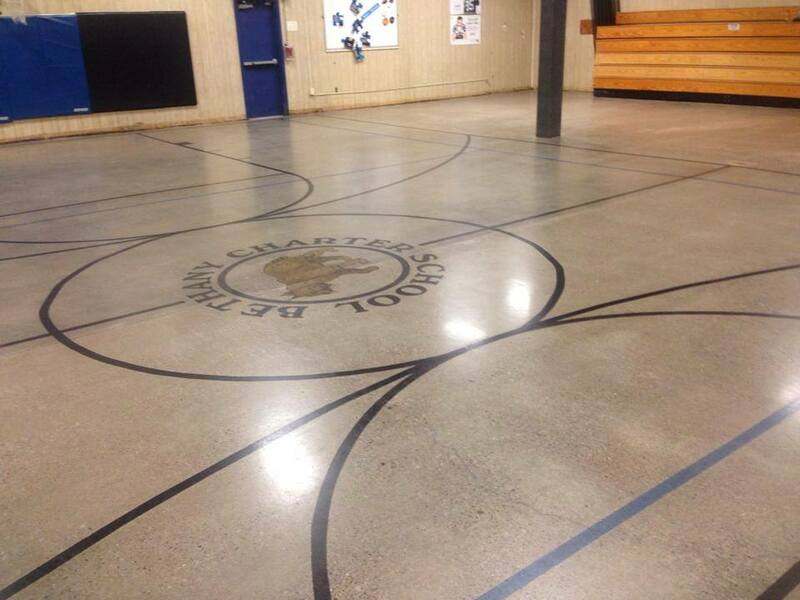 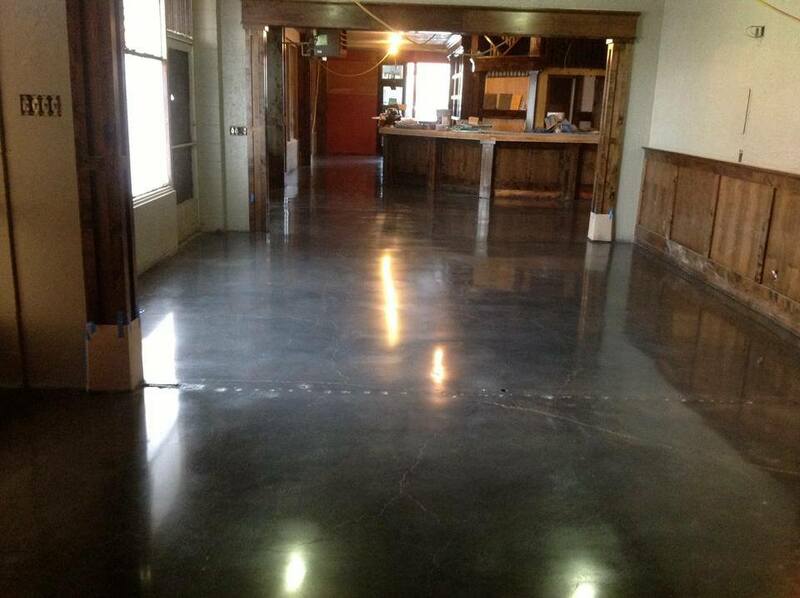 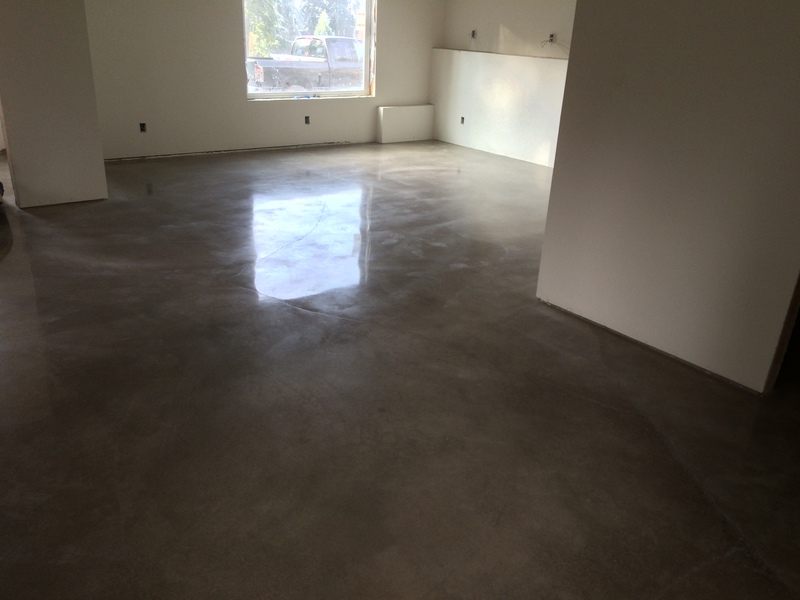 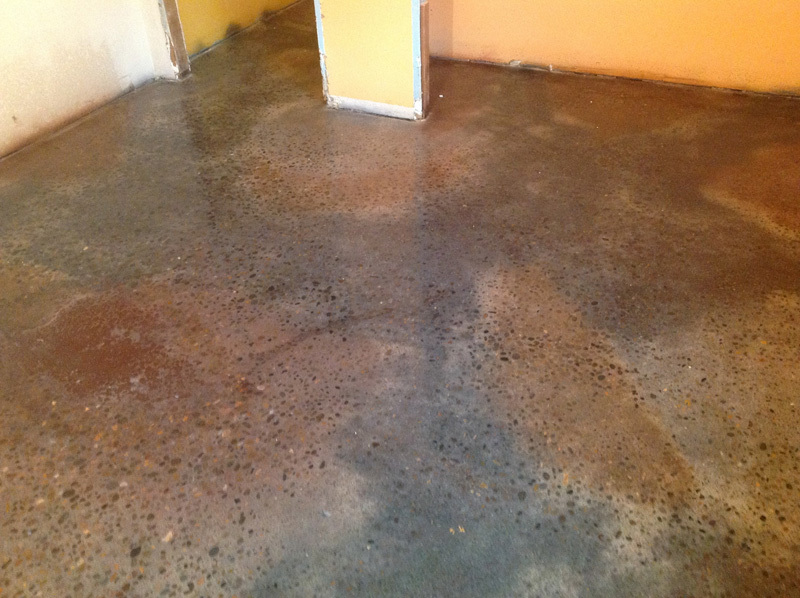 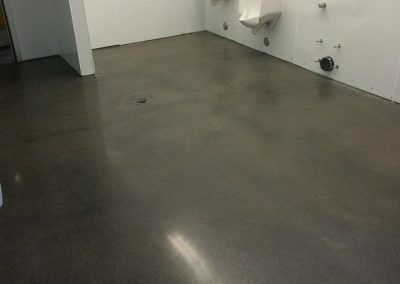 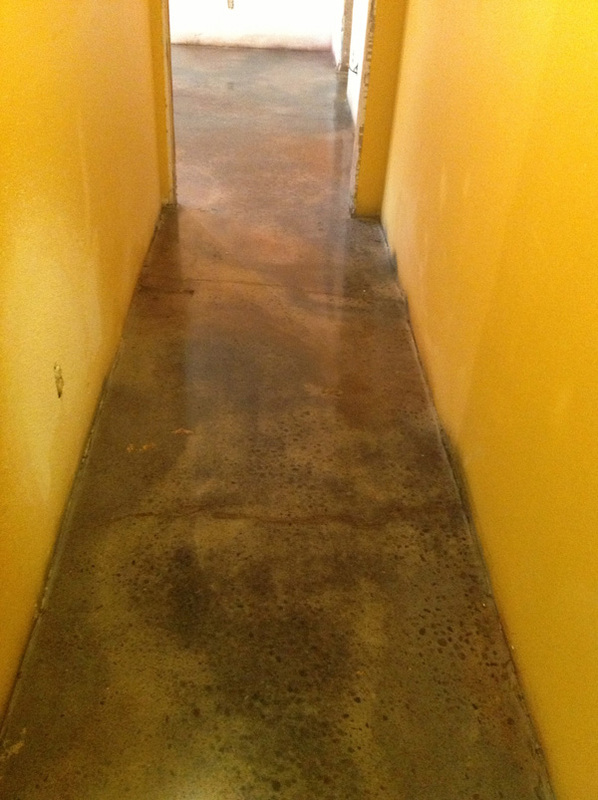 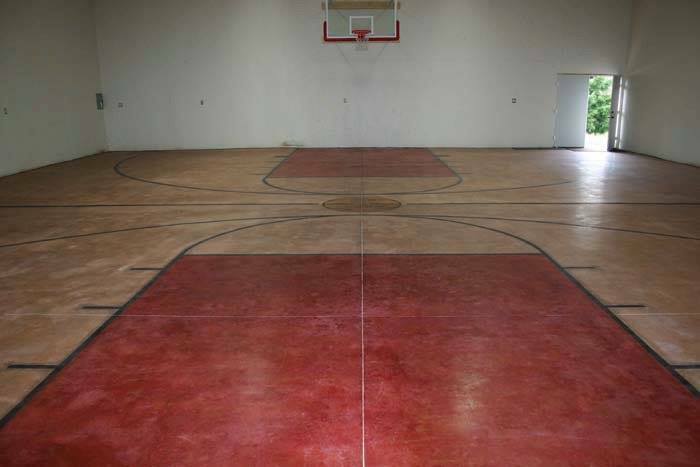 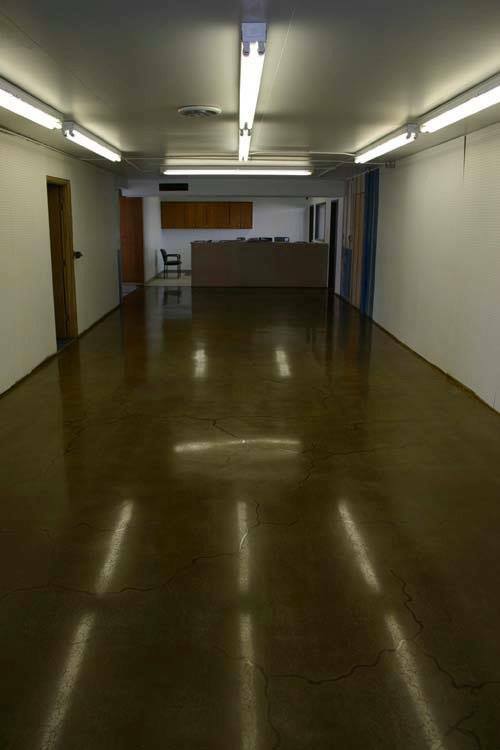 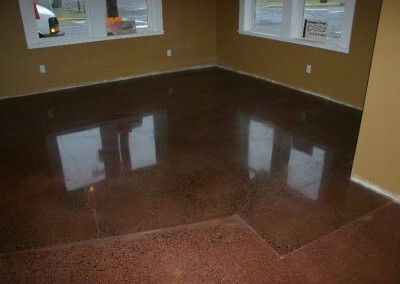 We offer a wide range of services from pouring to finish for all your concrete flooring needs. 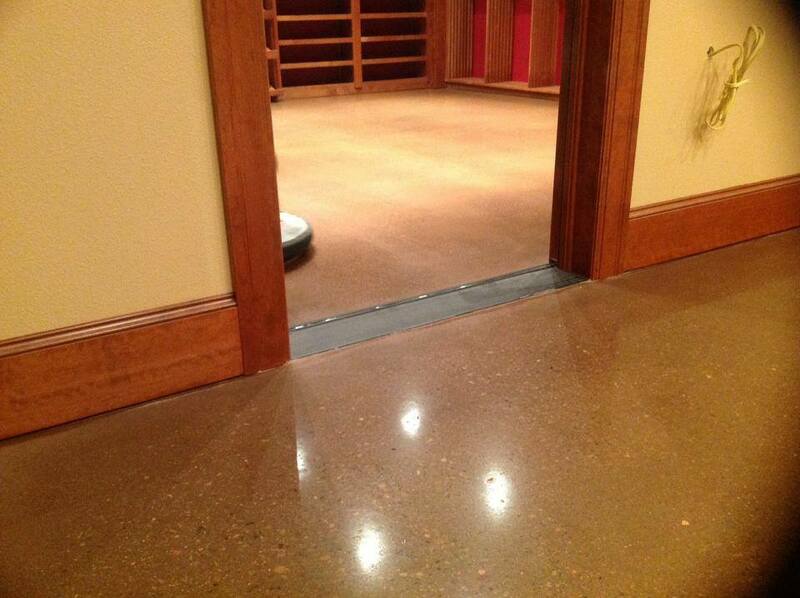 Concrete floor polishing is similar to sanding wood. 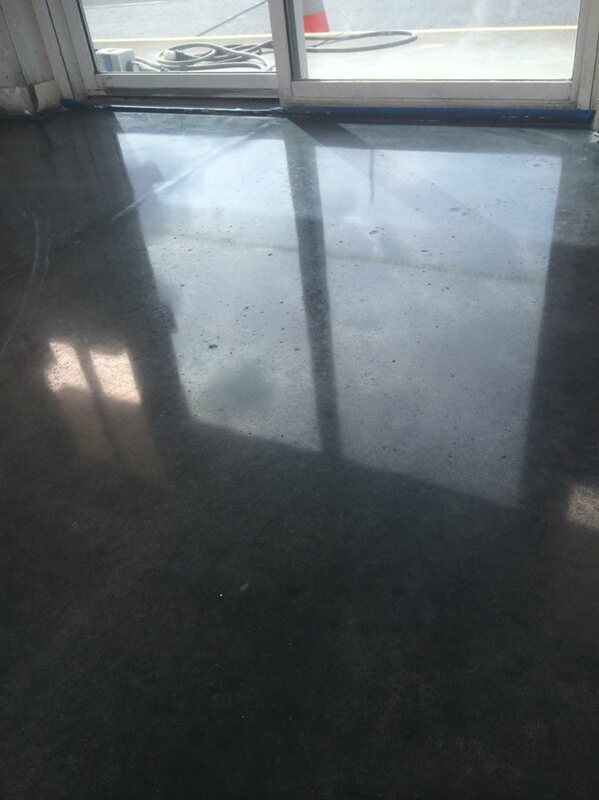 A polishing machine has several different discs which contain diamonds on the bottom from coarse to fine that are ran over concrete until the floor has a soft and smooth surface. 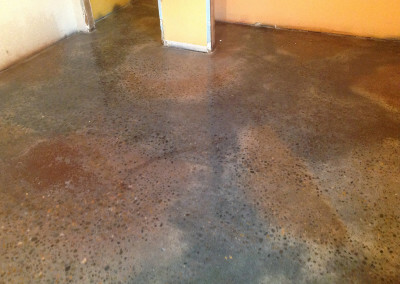 A stain can be applied as well as a densifier and sealer creating a gloss. 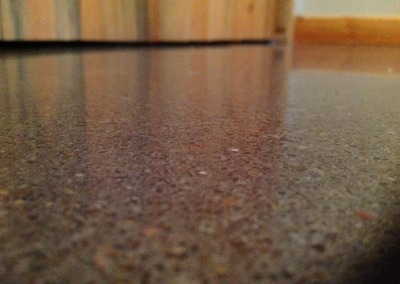 When polishing a floor cracks can be filled. 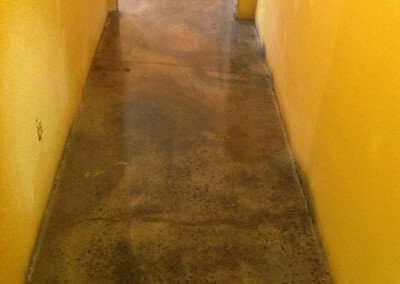 If there are any minor blemishes, pits, stains or glue present those can usually be removed. 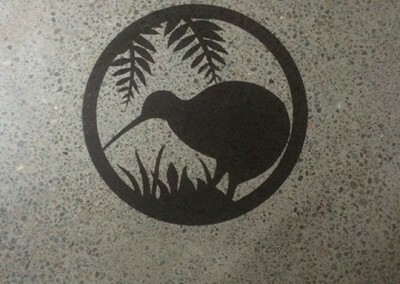 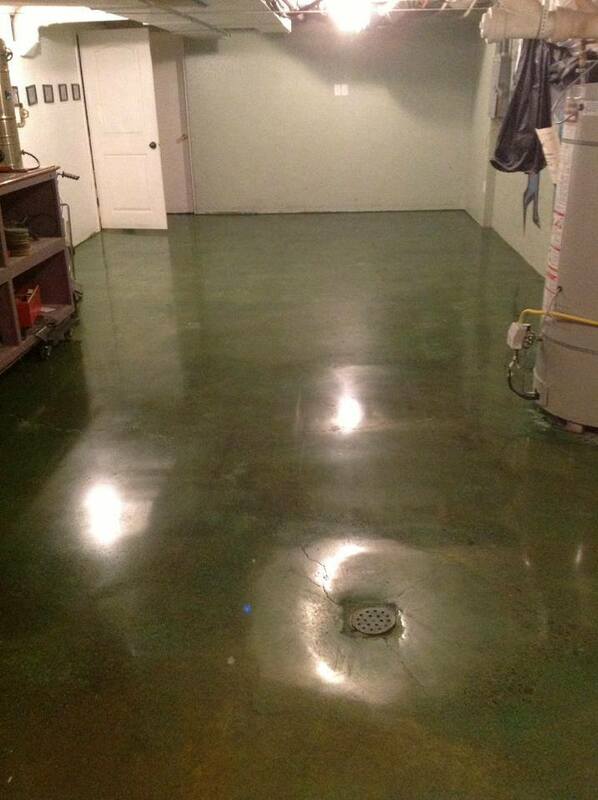 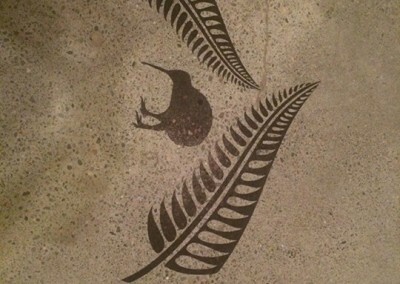 A polished concrete floor is very economical and ‘green’. 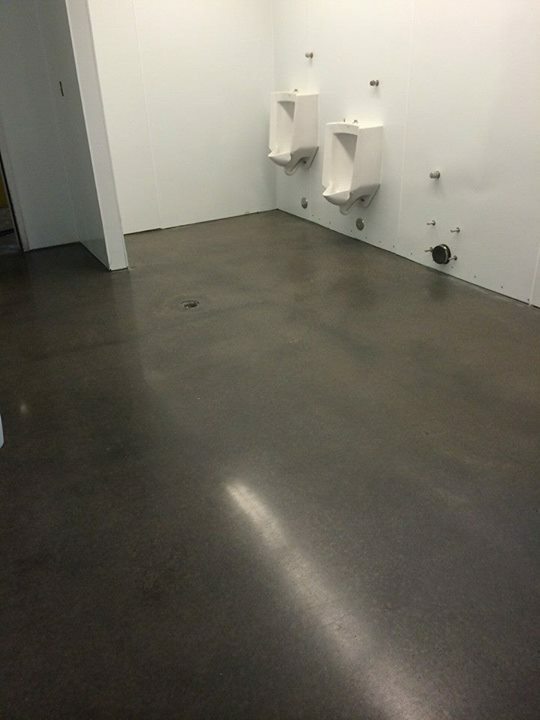 Very little maintenance is required. 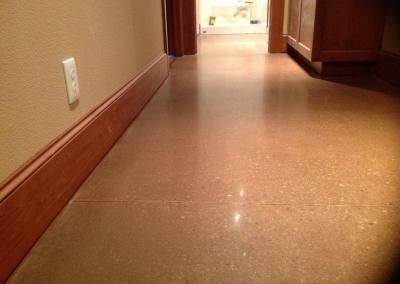 A floor can last up to 10 years or longer before it needs to be refinished. 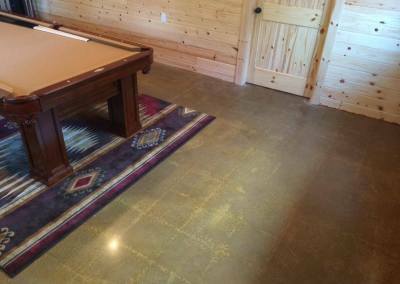 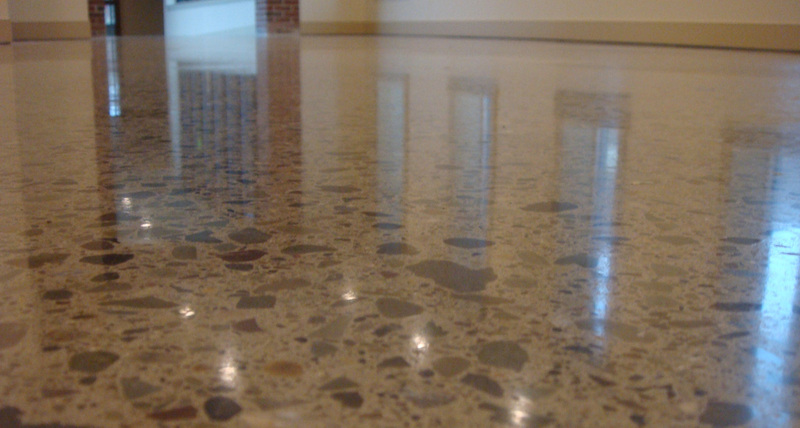 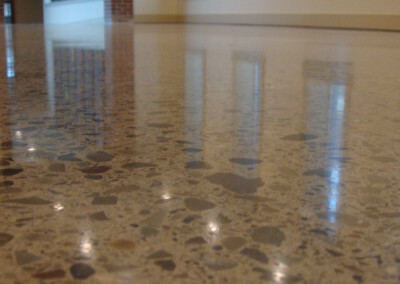 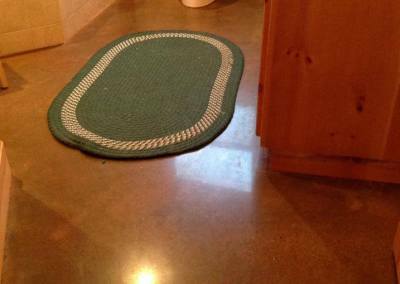 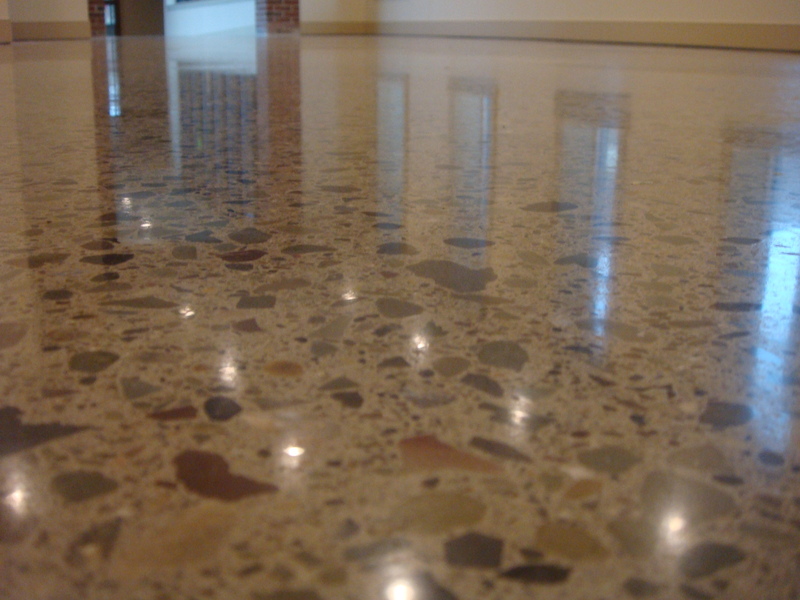 Almost any concrete floor new or old can be polished if they are sound. 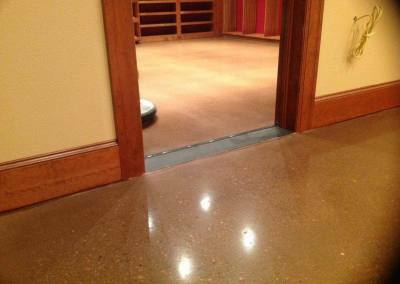 Floors that are wavy, very porous and need extensive patching may not be good for polishing. 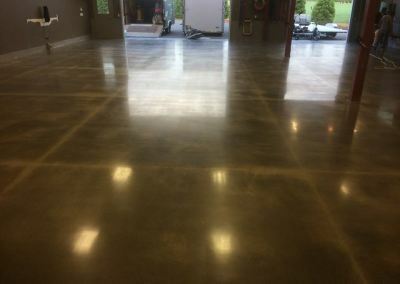 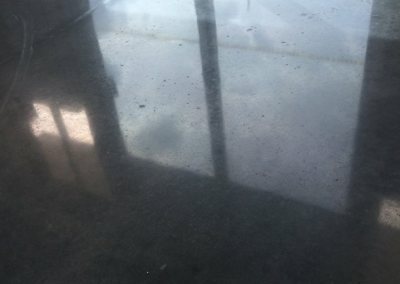 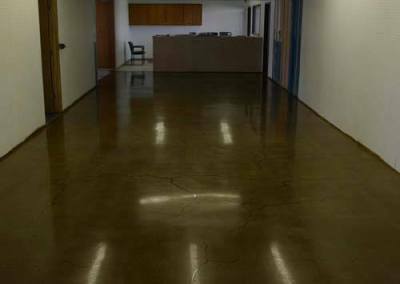 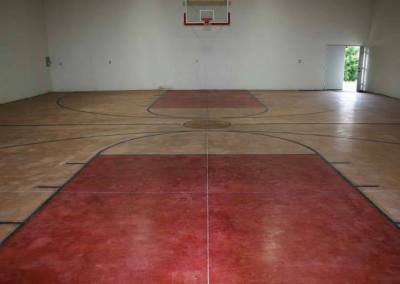 A polished concrete floor consumes far fewer resources to produce and maintain, than one covered with additional flooring products or coating. 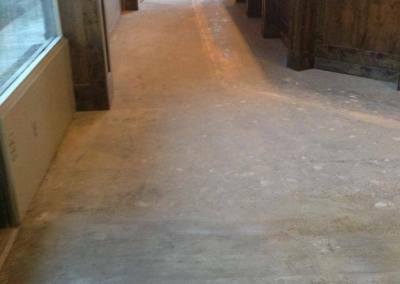 Optimizing energy performance by reducing energy cost: by increasing the amount of natural light entering an interior space (due to its high light reflectively) and reducing the amount of construction waste during a renovation. 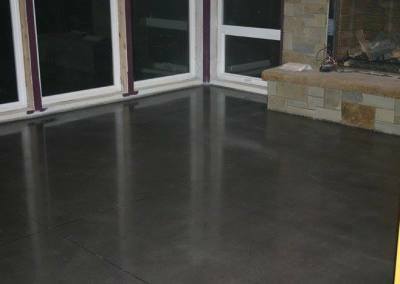 The concrete floor structure can be renewed without demolishing the existing floor therefore reducing waste deposits in landfills. 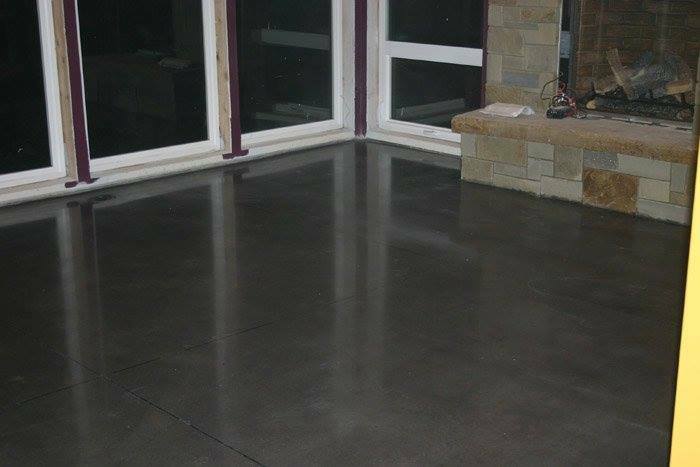 Contact us at 971-239-8990 for a free estimate or click the button below to send us an email.